Microbe-Lift is an ecologically responsible company providing earth friendly solutions for Koi and Pond maintenance. Microbe-Lift products are non-toxic and biodegradable and are therefore safe to use around humans, pets and wildlife. 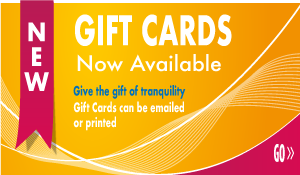 They are truly some of the most environmentally friendly products available. Microbe-Lift PL is the #1 water clarifier asked for by name. Microbe-Lift pH Decrease - 16 oz. 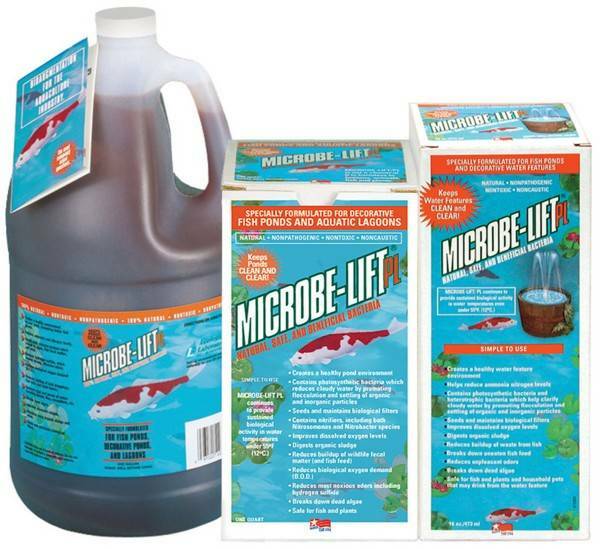 Microbe-Lift Sludge Away Booster - 2.75 lbs. Microbe-Lift PL Gel Filter Innoculant - 32 oz. Microbe-Lift pH Decrease - 32 oz. Microbe-Lift Maximum Clarity Plus - 3 lbs. Microbe-Lift Barley Straw Pellets + - 10.5 lbs. Microbe-Lift Sludge Away Booster - 11 oz. Microbe-Lift PL Gel Filter Innoculant - 16 oz. Microbe-Lift Maximum Clarity Plus - 12 oz.